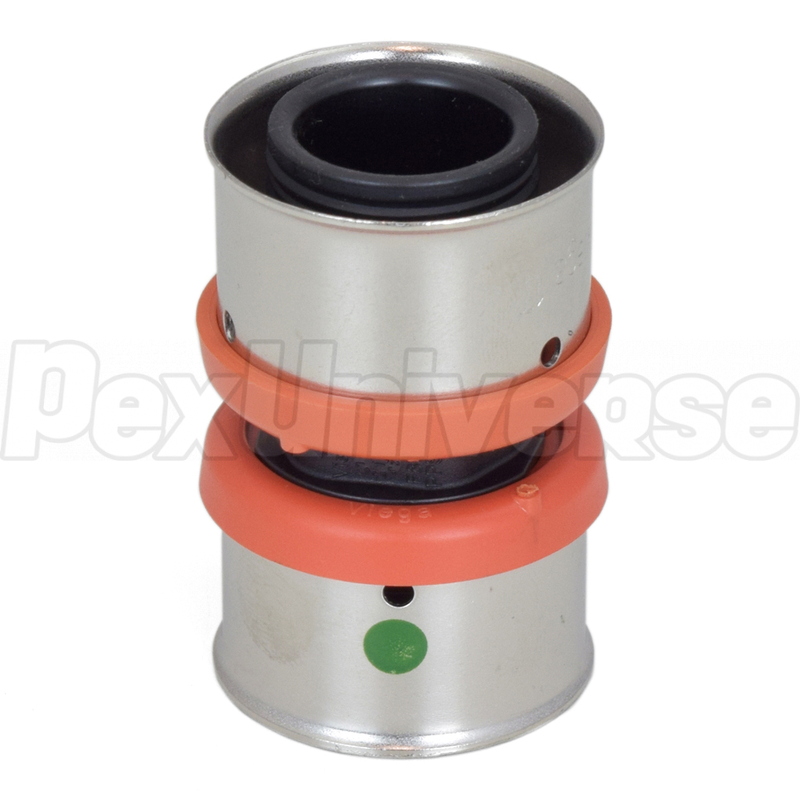 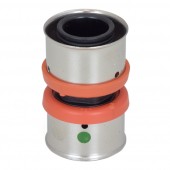 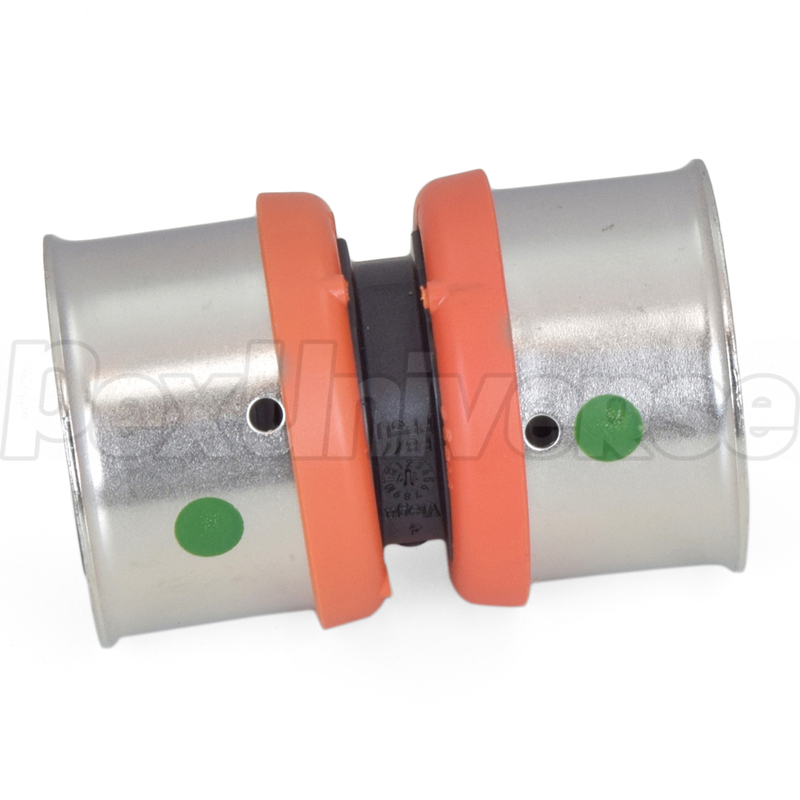 This poly PEX press coupling fitting connects two 1" PEX pipes together in a straight line using Viega press connection method. 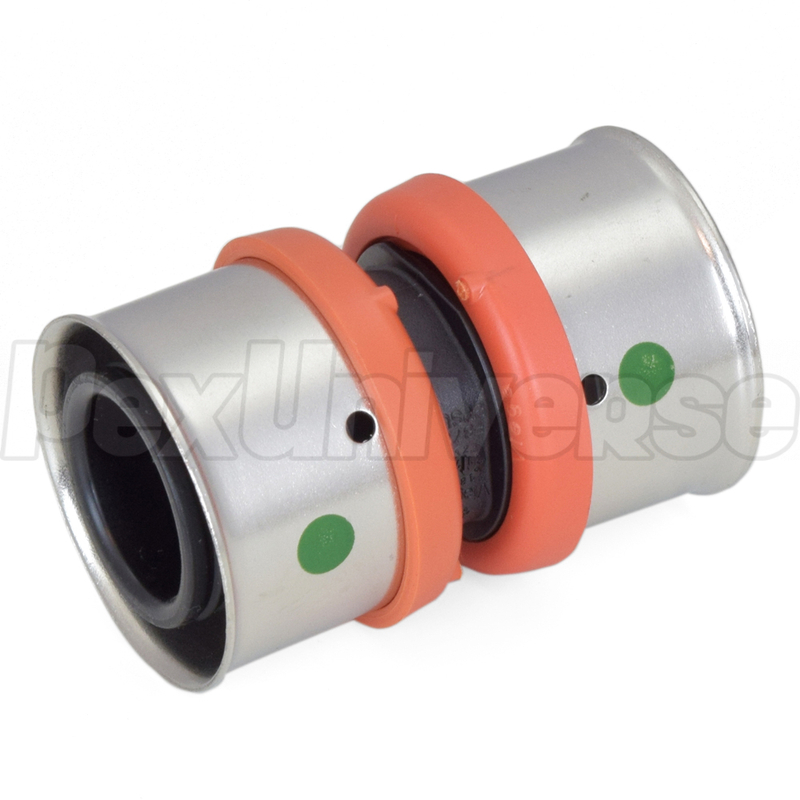 Compatible with all PEX tubing types (A, B, C) and FostaPEX. Lead-free, approved for potable water use.